The winery, founded in 1988 sits on the banks of the Duero river. It consists of a set of small buildings which gather around a country house that still serves as a residence for Luis Sanz, the current owner, and his relatives. The restored buildings still retain the thick adoble walls once used for keeping out the heat and now an excellent insulation for the temperature control needed for wine-making and aging. The white-washed walls, the low buildings and the U-shaped architectural structure give the buildings a Basque air reminiscent of its farming history. Belen Sanz Cid is one of Spain's few female enologists, irrefutable proof of how she has inherited her father's passion for wine and of the effort she has put into her career. She obtained the title of enologist at the University of Valencia and complete her studies at Bordeaux university, birthplace of some of the greatest wines of the world. Apart from that, her masters were Mariano Garcia (Vega Sicilia, Mauro, Aalto) and Antonio Sanz. Some of the most important enologist of Spain and with a very close relationship with Luis Sanz (Belen's father) and with the Sanz Cid family. Belén is pure passion into the winemaking, having gained the respect of the best winemakers of Spain. She really lives by and for winemaking. Each vintage has her particular style, the style of Dehesa de los Canonigos learned in the first vintages made by Mariano Garcia and Antonio Sanz. Uvas antes que cubas. This is a priority that Luis Sanz always has had. Grapes would rather than barrel. She has had very clear her vocation from the beginning when she was a child. 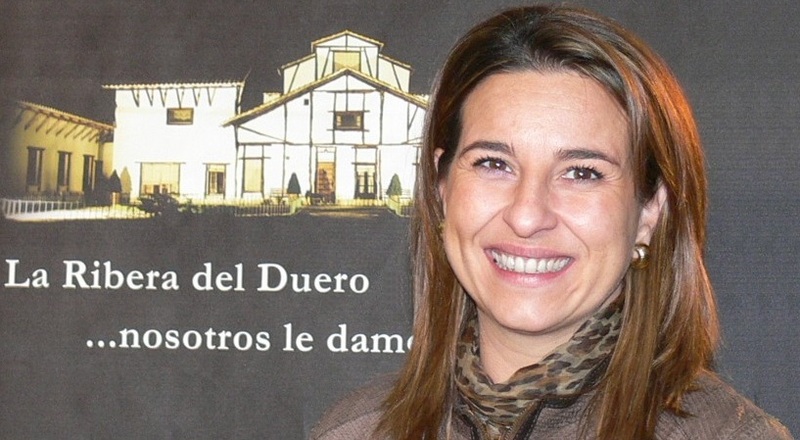 She is the technical director from 1998 and enologist from Dehesa de los Canonigos and from 2008 she is member of the Tastin Panel of the Apellation Ribera del Duero. Apart from that and making team with his brother Ivan, who is in charge of the vineyards and winery's direction, they bet for the wine tourism, trying to transmit the wine culture, soil and the passion that the family has for making the best possible wines with our own vineyards.